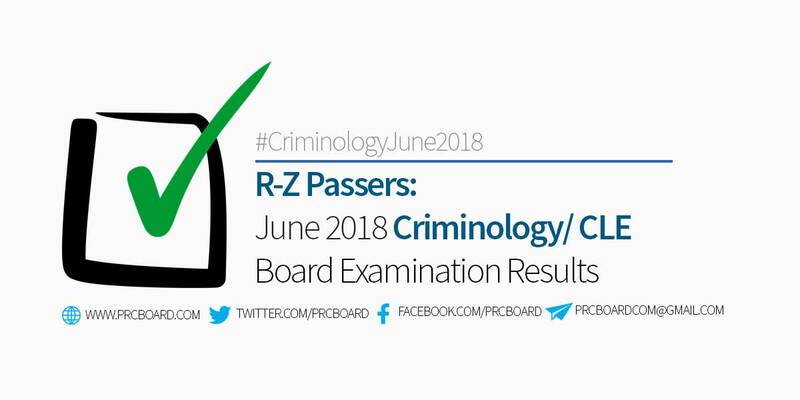 MANILA, Philippines – The full results of Criminology Board Exam June 2018 or the Criminologist Licensure Exam (CLE) as well as the list of passers, top 10, schools' performance and other important announcements are released by the Professional Regulation Commission Board of Criminology twelve (12) working days after the last day of exams. Below is the complete list of passers for June 2018 CLE with surnames starting with letter R to Z, courtesy of PRC. baka bukas payan elalabas ..wag nga kayung excited..
Panu po pag tingin ng rating po?